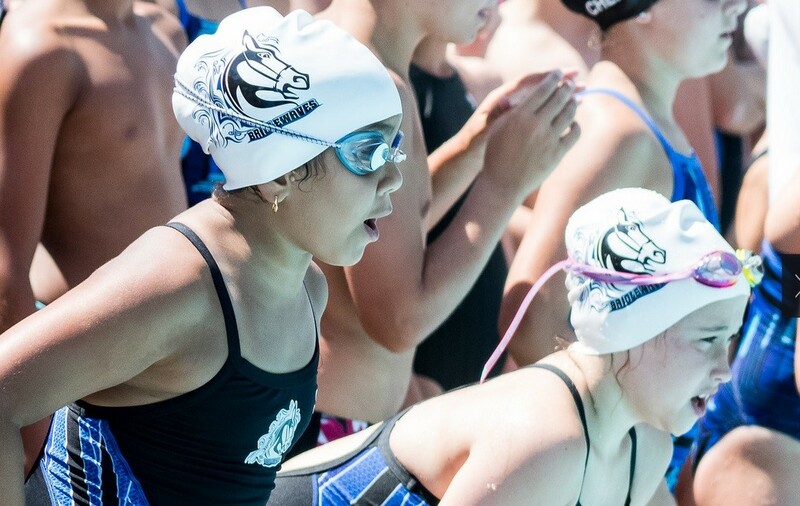 Lead photo: The 8&U Girls kicked off a last chance rally with the second of seven straight Freestyle Relay wins for the Bridlewaves to close the meet. 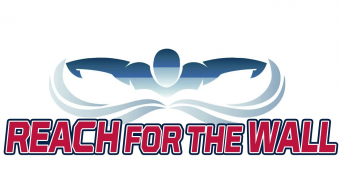 Heading into week five of the PWSL 2018 season, two teams remained undefeated. Both teams sport black and blue as their team colors. Both teams derive their name from ocean-born disasters. Both teams have already beaten Kingsbrooke and Braemar this year. And it just so happened that their schedules aligned, guaranteeing that by the end of the contest, one team would taste defeat for the first time this year. 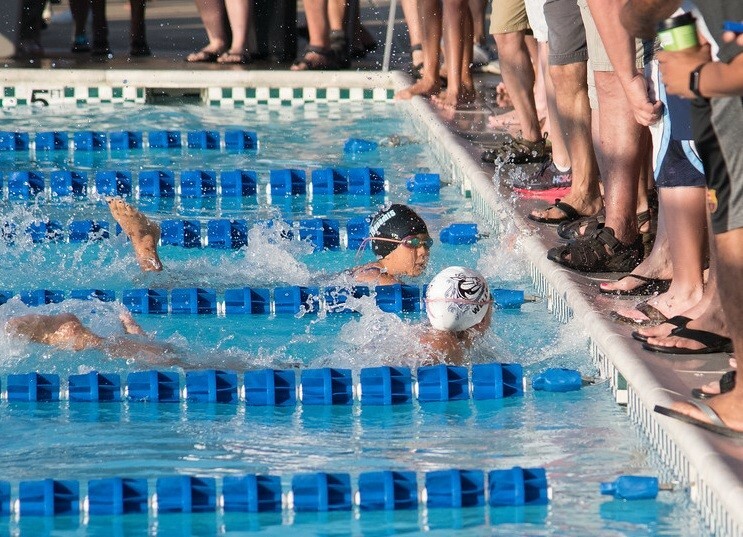 The Piedmont Tsunamis, current blue division leader, played host to the defending Red division champions, the Bridlewood BWaves this past Saturday in what promised to be a closely contested meet. The BWaves stumbled out of the gates, posting some disappointing times early on and finding themselves trailing for the first time this season after the opening relays. Piedmont held the lead through the individual races, though it remained a relatively slim margin considering the BWaves were outnumbered by about 50 swimmers, equating to over 100 extra splashes. Highlights for the Bwaves during the individual events included three new team records. Paul Querijero laid claim to the 9-10 Boys 50m Backstroke mark, with a time of 39.21 seconds. Not to be outdone by her counterpart, Madalyn Witt lowered her own 50m Backstroke record, notching a time of 38.13 seconds, good for the top time of all 9-10 Girls in the league. Querijero would later lower his team record in the 25m Butterfly, setting a new standard of 15.88 seconds. Moving into the closing Freestyle relays, the victory seemed in hand for the Tsunamis – especially considering their dominant showing in the opening relays. However, the BWaves, spurred on by adrenaline and pride, charged back, claiming seven straight relays, each relay team building off of the excitement from their preceding group. Unfortunately, the BWaves fell short in the final event and Piedmont took the win with a final score of 2735 to 2551. The Bridlewaves and Tsunamis swam to many exciting photo finishes as every race came down to the wire. In the wake of the surging relays, the BWaves saw three more team records fall. The team of Tyler Terhaar, Shane McGrath, Ethan McDonald, and 8&U Boys Free relay cleared the previous 8&U Boys 100m Free relay record by four seconds, setting a new mark of 1:16.71. The 9-10 Girls relay squad of Makenzie Witt, Madalyn Witt, Carli Wells, and Hazel Klein earned league best times in both the Medley and Freestyle relays, but their Freestyle Relay also netted a new team record. The new mark is 1:05.19 for the 100m race. Finally, the 11-12 boys quartet of Alec Shaughnessy, Will Woolf, Daniel Wu, and Christian Carroll lowered their 100m Freestyle Relay record to an impressive time of 58.08 seconds. Next week, the BWaves will host league champion Sudley Seahorses, while the Tsunamis will head down to face the Ridgewood Barracudas.